The strike embarked upon by members of the Joint Research and Allied Institutions Sector Unions (JORAISU) and Nigerian Educational Research and Development Council (NERDC) has entered into its third month and shows no end in sight. JORAISU is made up of the Senior Staff Association of Universities, Teaching Hospitals, Research Institutes and Allied Institutions (SSAUTHRIAI), Academic Staff Union of Research Institutes (ASURI) and the Non- Academic Staff Union (NASU). 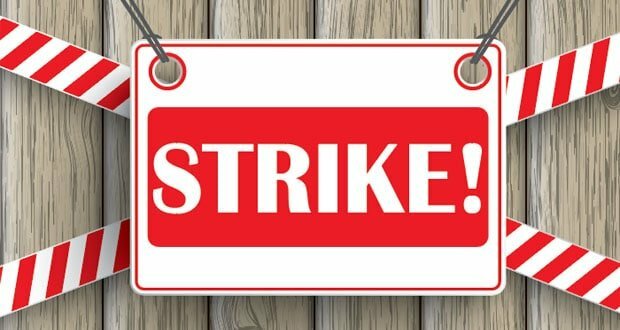 The strike started since November 14, 2017 over claims by the union members that the federal government has refused to attend to their demands. Meanwhile, Prof. Sani Haruna, the Executive Vice Chairman, National Agency for Science and Technology Infrastructure (NASENI) has urged the research unions to call off the strike. He urged them to put national interest first even as he assured the government was doing all within its power to ensure their demands were met. Haruna made the call on Monday in Abuja in a chat with the News Agency of Nigeria (NAN). “I keep on interacting with national heads of the unions because I am a grand patron of Academic Staff Union of Research Institutions and a distinguished fellow of Non-Academic Staff Unions of Research Institutes. “The issue started in 2010 with the previous government and the current government inherited it. We have held several meetings with the previous administration regarding the demands of the unions. “It is not that government is not listening; government is looking at possibilities of meeting their demands. These are lots of issues which cannot be implemented overnight. “I encourage them to know that life is about give and take. You cannot have it all in your way,” Haruna said. Haruna listed the demands of the unions to include increment of salary, retirement age of non-academy to be the same with academy, new condition of service and establishment of National Research Commission.